History, mystery, murders and a wartime romance…the intriguing story of motoring legend Enzo Ferrari’s hidden life emerges after decades of silence. 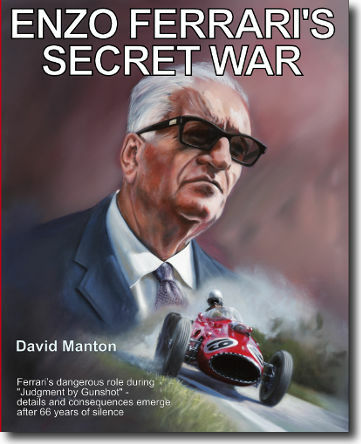 The book also describes the resulting Italian influence, anecdotes and memories from New Zealand motorsport during the postwar years. This followed Pat Hoare’s return from Italy and what Enzo Ferrari’s considered was the personal debt owed to New Zealand. "If Enzo Ferrari's Secret War becomes a movie there will be inevitable suggestions of ‘cinematic licence’ – but it’s all true and this is the story every motoring writer will have wished they'd written"